The chance to work as a contractor in the United States represents an exciting opportunity, allowing Canadian workers to gain invaluable experience in a foreign market while also gaining insight into US business practices. However, when it comes to compensation and employer and employee responsibilities, it’s important that Canadian contract workers know where they stand. Canadian and US regulations concerning compensation can be quite different, especially as they concern contract workers. 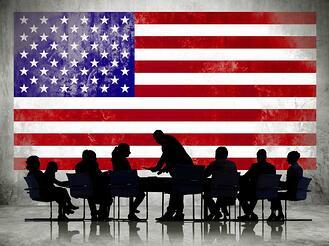 As a Canadian citizen working in the United States for a US employer, knowing how to navigate two different legal systems can be confusing. However, it doesn’t have to be! Here are some of the things we think you should know. There are some fairly significant differences between the US and Canada when it comes to labour laws, and in particular, non-compete agreements. While non-compete agreements exist in Canada, and Canadian employers do have the right to ask you to sign one, they have nowhere near the influence that they do in the US. In Canada, while you may be asked to sign a non-compete agreement, they are rarely enforced, as the Canadian government has deemed them in violation of workers’ rights. This is not the case in the US, where non-compete agreements are enforceable, and incredibly common. Which is to say that, if you are a Canadian contract worker in the US, and are asked to sign a non-compete agreement, it is important that you understand the implications of the agreement. If you choose to enter into a non-compete agreement, you are barred from discussing trade secrets, and in addition, you are unable to find employment (within the US) in a similar field for a designated period of time. If you are going to work in the US, it is imperative that you are properly classified and properly compensated by your US employer. Many employers deliberately misclassify their employees as contract workers, despite the fact that they are working the same hours and working under the same conditions as a full employee. This benefits the employer because, as a contract worker, they are not obliged to provide you with any of the benefits that they would be legally required to extend to a regular employee, things like health benefits, and they are also able to evade various tax laws. If you are an independent contractor, you have certain rights that you should be allowed to exercise, including the ability to set your own hours, or to subcontract your work out to others. Employers, who have taken you on to complete the job of a regular employee, but have classified you as an independent contract worker, are in serious violation of Canadian labour laws, which are enforceable through the Canada Revenue Agency (CRA). If you have been misclassified, you are not being properly compensated, and are not receiving the full roster of benefits that you are entitled to! The NAFTA agreement between the US, Canada, and Mexico means that Canadians have the ability to work in the US under the TN category, or non-immigrant classification. If you have Canadian citizenship, you are not required to apply for a VISA to work abroad, but must be able to provide a letter from your employer that details what you will be doing for them, the length of your stay, and your relevant qualifications. TN non-immigrants are allowed to stay in the US for a period up to three years, at which point they would need to begin to get an extension from your employer, or return to Canada to begin the process again. It is important to note, however, that if you are doing contract work in the US under the TN category, you are considered a Canadian citizen living temporarily outside of Canada, and are required to continue to pay both provincial and federal taxes. 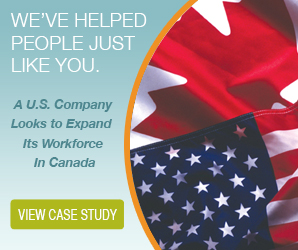 More than ever, Canadian employees are in demand from all over the world, but especially from the neighbouring United States. What they're seeing is what Canadians have always known – that they are a highly skilled, well educated workforce well suited to international work in all kinds of fields. This has businesses abroad excited and eager to start expanding their workforce across the border, but it also leaves some questions. After all, there are laws to consider and regulations that vary from the familiar. There are different standards and rights that apply to Canadian employees than ones from the US. Luckily, while the process may seem complex, there's only a few key things you need to know to get started hiring. While a lot of laws that apply to Canadian employees may seem the same as ones that affect the US, there is a great deal of divide, especially when it comes to labour laws. It's important to do your research before you hire Canadians to ensure you remain compliant and legal – not to mention to avoid fines and penalties. It's relatively common in the United States to get employees to sign non-compete agreements, which protects trade secrets and can also bar an employee from getting a job in a similar field for a defined amount of time. While it is considered legal to ask Canadian employees to sign one, they are nearly impossible to enforce in Canada, with most judges considering it a violation of workers’ rights. It's important to research how unions work as well, and how much authority they have over the conditions and benefits your employees will enjoy. This can affect your company a great deal and affect any contracts that are signed. This doesn't often apply to contingent workers, but can be a large part of a more traditional workforce. The more you know, the less trouble you will potentially see. Canadian labour standards are much different than those of the US, and vary province-to-province. Because of that, more specific research will be needed to ensure your compliant in the specific region(s) you're working within. The least of those differences is the holiday schedule – this means your Canadian employees will have nationally recognized holidays that aren't necessarily the same as yours, and most workers in Canada are entitled to time off on these occasions. This can also apply for religious holidays, cultural holidays and other specific days. Labour laws are also intrinsically linked to how much and how often you pay your employees – unlike the US, Canada has a set minimum wage in every single province and territory that needs to be met in order to legally employee someone. Some provinces even have laws on how often they need to be paid, and that needs to be observed closely. It's not just payment either – it also involves the health and safety of Canadian employees, hiring and termination policies, benefits that may be involved, how many breaks they have or how much overtime they can claim and more. Be sure you know what you're being asked to provide before you start hiring, to avoid any legal mishaps or unhappy employees. Because of all these complications, which are often time-consuming and complex for companies new to Canada, many businesses have been engaging the services of an employer of record (EOR). 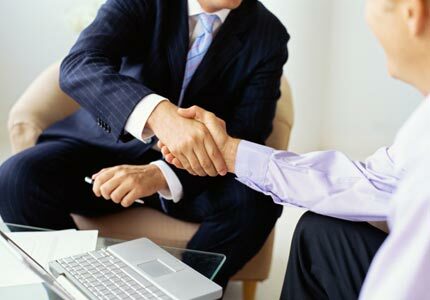 The benefit of a partner like this is that they would act as the legal employer of your Canadian employees, which means they would handle benefits, payroll, legality and everything else that was required to keep the process smooth. Not only does it make things simpler for businesses hoping to expand their workforce into Canada, but because they're familiar with the system already, it keeps your employees happy too. 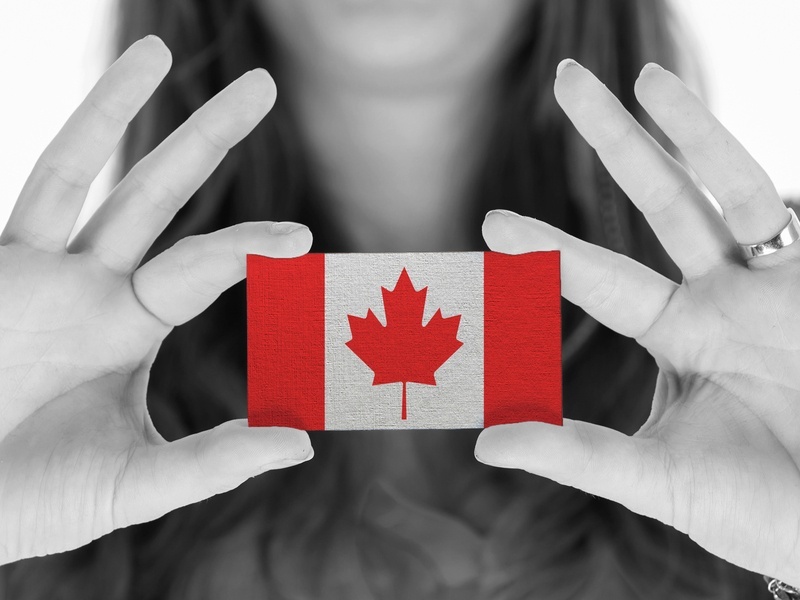 While expanding your business operations into Canada can be a wise choice, there’s a lot of responsibility that comes with it, one of which is making sure you effectively manage Canadian employees. When it comes to human resources requirements in Canada, there’s a lot to know, and you must understand and follow the laws in order to stay in compliance. 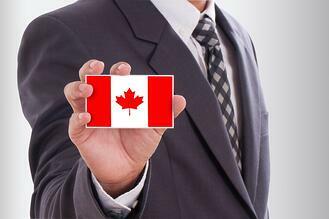 You can manage Canadian employees on your own or you can outsource the task to a back office service provider or EOR. In business, managing employees can be the most time-consuming and cumbersome task for employers. But when you own an international business that has expanded into Canada, it can be more difficult than ever to manage Canadian employees when you’re thousands of miles away. Skype, email, and phone calls can only be so effective. Most of the time, HR issues are better handled in person where proper communication can take place. Making it even harder is the fact that employment standards, rules, regulations, and protocols will be different in the Great White North from in your home country. Before you make any decision—when it comes to hiring, firing, safety training, handling complaints, dealing with human right claims, or anything in between—you’ll have to look up the appropriate legislature to ensure you’re compliant, or risk getting into trouble with the Canadian government. Even if you hire an in-house HR manager to help, can you really be sure that this person understands the Canadian employment standards well enough to make the right decisions that follow the right laws? Will your HR manager keep up to date with changing legislature? What was lawful just a few months ago might now be illegal for you to do—so staying up to date is vital. You can manage Canadian employees on your own, but do you really want to? The time commitment, the frustrations, and the confusion can quickly become overwhelming—especially from so far away. Back office service providers in Canada can provide you with more than just payroll processing support. Many providers will also take care of your company’s human resources responsibilities. When you outsource, you can save time and money and focus on your core business activities, all the while knowing that your Canadian workers are being managed properly. Your back office service provider can keep you in compliance while being your go-to expert for recommendations, support, and guidance. Your service provider will also be on Canadian soil with your workers, so it can handle any issue face to face so it can be resolved quicker. Employers of record cannot only help you establish your administrative presence and take on your Canadian workers as their own in the eyes of the government, but they can also help you manage Canadian employees effectively. Many EORs have human resources experts on staff that can help you in much of the same way that a back office service provider can. The only difference is that the EOR is legally responsible for your employees when it comes to payroll, insurance, and legal issues. When it comes to managing your Canadian employees, you can try to do it on your own. But if you’re not an expert in Canadian human resources management and employment standards, it can be difficult for you to manage them effectively. But when you outsource to a back office service provider or an EOR, you can manage your Canadian employees appropriately, without the worry. Employees keep your business humming along, but employing Canadians takes some preparatory work. When you follow the proper hiring procedures, your future payroll work will be much easier, and you'll be compliant with the Canada Revenue Agency (CRA), thus keeping your business from having to pay fines. 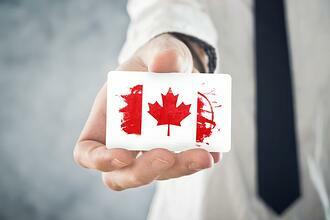 The following five steps are the nitty gritty details of employing Canadians. 1. Make sure your job offers meet federal labour standards and the employment standards of your territory or province. Federal Labour Standards cover a variety of different areas such as work hours, vacation and holidays, employer compliance, wages, sexual harassment, termination, and leave. Before you ever make a job offer, make sure that your offer follows these standards. For example, you wouldn't want to make a job offer for a position that requires 45 hours of work per week but doesn't offer any overtime pay. You can find federal labour standards online. Additionally, you'll need to make sure your job offer follows labour standards for your province or territory. For example, minimum wage rates are different in different parts of the country, and you'll need to make sure you're complying. 2. Examine the employee's Social Insurance Number (SIN). After you have made a job offer and the offer has been accepted, you have three days to view the new employee's SIN. As an employer, you need to record the employee's name and Social Insurance Number exactly as they're written on the card. One of the reasons you need to examine SIN cards is to look for SIN numbers that begin with the number 9. A SIN number that begins with 9 indicates a person who is not a Canadian citizen or permanent resident. These people are authorized to work under specific conditions with employment authorization issued by Citizenship and Immigration Canada. TD1 is a tax form that determines how much tax you'll deduct from a person's income. There are both federal and provincial/territorial TD1 forms to fill out, so make sure your new employee fills out both. After your employee completes these forms, you will keep them on file. There is no need to send copies to the CRA. 4. Complete any training required for the position. Health and safety are important components of any job, and you will need to train your new employees on the policies and requirements that affect their new positions. Some of these trainings need to be documented while others, don't, you must ensure that the proper training is completed and keep track of any documents related to that training. 5. Start a paperwork file for each employee. In addition to the paperwork you've already completed during the hiring process, you will be adding items related to running payroll such as end-of-year T4 slips. It's wise to keep all of this information together because you'll need to collect it and refer to it from time to time. As you can see, employing Canadians requires vigilance and attention to detail. A company like The Payroll Edge, can help you with employing Canadians and keeping your business compliant with CRA regulations. To learn more, contact us.